You have a headache? You certainly are not alone! Fifty-nine percent of Canadian adults report suffering from some form of headache.1 Headaches can be debilitating, but most often feel like unpleasant discomfort, pain or pressure that can be addressed by manual therapies, relaxation and rest, hydration and even short-term use of pain medication. Yet, in severe cases, the pain can be unbearable and last for many hours or even days. In 2010, an estimated 2.7 million Canadians reported being diagnosed with a migraine headache2. Research indicates that the number of migraine sufferers is likely under-estimated since not everyone seeks care from a healthcare professional, and are likely undiagnosed. Similarly, thanks to the help of Dr. Google, many Canadians resort to searching the internet to self-diagnose and self-manage. However, like many sources of pain, the causes of headaches are not all alike. Hence, the remedies will also differ. If you are concerned and looking for relief, seek help from a qualified healthcare professional. 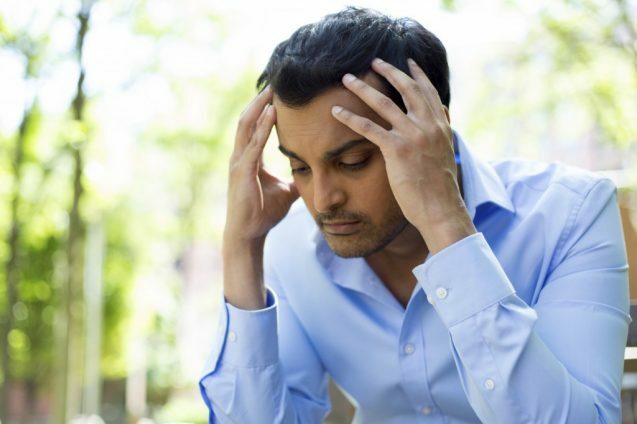 Like other MSK conditions, headaches can be differentiated by a comprehensive examination and strategies to relieve the pain can be identified. Talk to your chiropractor or other healthcare provider about your pain and headache today. The most common type of headache, tension headaches are characterized as diffuse, dull, aching pain typically described as tightness around the head. Not surprisingly, the most common trigger for tension headaches is stress. Generally, this type of headache can be managed by decreasing your stress, applying a cold or hot pack and improving your posture. Conservative care, like chiropractic, can also help relieve symptoms and prevent recurrence. Migraine headaches can present differently from person to person. Symptoms may include disturbed vision, nausea and vomiting, sensitivity to light, and are often accompanied by sensory warning symptoms (aura). Sufferers may need to lie down in a darkened room until the symptoms ease. The causes of migraine headaches are not yet known, but there are a number of triggers that are associated with migraines including stress, sleep deprivation, changes in the environment and certain foods. A migraine can last hours or even days. A cervicogenic headache is classified as a secondary headache because the pain is referred from structures of the neck. Since the origin is usually related to the cervical spine, managing pain can include manual therapy and recommended at-home exercise to address postural issues and dysfunction. As stated earlier, the causes of migraines and other types of headaches are not entirely known. Commonly, joint dysfunction, muscle tightness and poor posture can lead to the development of pain and specifically headaches. The changing barometric pressure that accompanies an abrupt shift in the weather is also thought to trigger migraines. Depending on the type of headache, your healthcare practitioner may recommend spinal manipulation, soft tissue therapy, home exercise, relaxation and/or nutritional counselling. For more information about how chiropractors approach headache treatment, read the key recommendations for practitioners on the Canadian Chiropractic Guideline Initiative’s webpage. 2. Pamela Ramage-Morin and Heather Gilmour, “Prevalence of Migraine in the Canadian Household Population,” Statistics Canada, Health Reports, Volume 25, no. 6. June 2014.